In each deal, the least amount of time spent is with the customer, but it’s definitely the most critical stage. The fourth phase in the financial services process the customer interaction, and the responsibility falls firmly on the financial services advisor for success. This face time with the customer is where building value happens, where trust is earned, and where the back-end gross is made. Each step in this phase must be executed confidently and comfortably. A first impression is made in the greeting. Greet the customer outside the office for a less intimidating atmosphere with a firm handshake and a smile. Avoid small talk while engaging the customer. Congratulating them on their purchase is a great idea as you invite them into the F&I office. The greeting can be much less formal when an F&I introduction is implemented earlier on in the sales process. The goal is to be a familiar face before getting into the F&I product menu. Many car buyers feel that financial services and products are a money grab. Edmunds and other sources say as much when they explore how dealerships make money. At the beginning of the F&I process, emphasize to each customer that you’re committed to their satisfaction primarily, helping draw the conversation away from the money aspect. It alleviates tension and helps the customer to focus on the products. Again, reinforce you are in an advisory role. Imagine walking through your dealership with a blindfold on. Do you know what you should expect, or what’s around the next corner? That’s how a customer feels when they first sit in the F&I office. Set out the plan for their visit to the F&I office. Explain the demonstrations you’ll give so the customer knows what’s about to happen. Run through the details of the sales agreement with the customer – their personal information, the vehicle information, and the pricing too. It demonstrates that you care and you’re committed to accuracy before you move ahead. It’s a fact-finding mission. Combined with the information provided by the salesperson, explore the customer’s ownership experience. Use open-ended questions to find out how their vehicle will be used so you can establish a baseline for which products could best suit their needs and wants. This is your product presentation; your F&I walk-around. Explore the financial services and products that are suited to the customer, providing benefits to build value in each one. Although the salesperson may have painted the broad strokes, this is where the ‘master’ adds the detail. At this step, there’s more than just asking for the sale. 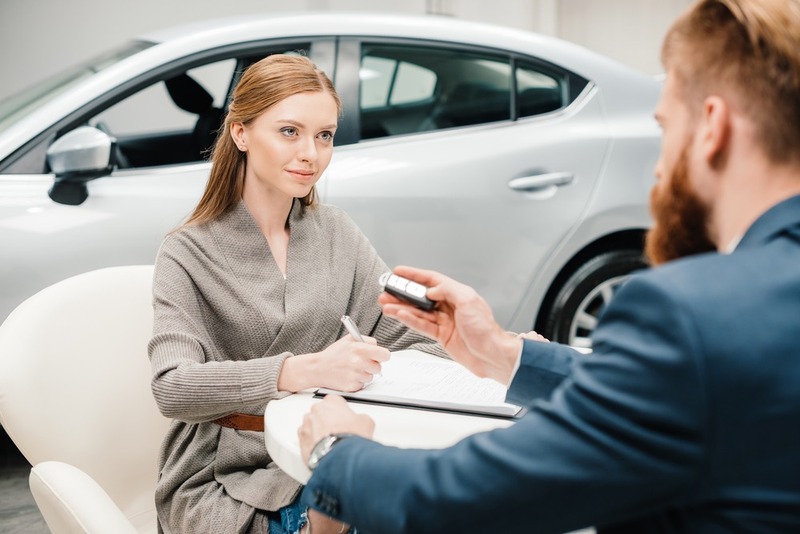 Repeat back the products and services that have been agreed upon to confirm you have listened, further building confidence with the car buyer. This can often happen in two parts when the delivery takes place on a different day from the sales agreement. Finalize the contracts and documentation with the customer, reviewing in detail each document involved. Reiterate the importance of understanding the terms and ask the customer if they have any questions. Thank the customer for their business. Explain the next steps in the sales process and what the customer should expect as you hand them back to their sales consultant.